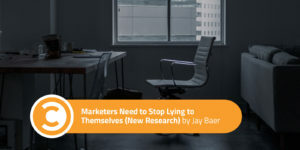 New research launched last week by Marketo shows that marketers—both B2C and B2B—continue to be borderline delusional in terms of what customers actually expect, and how they are and are not delivering against those demands. 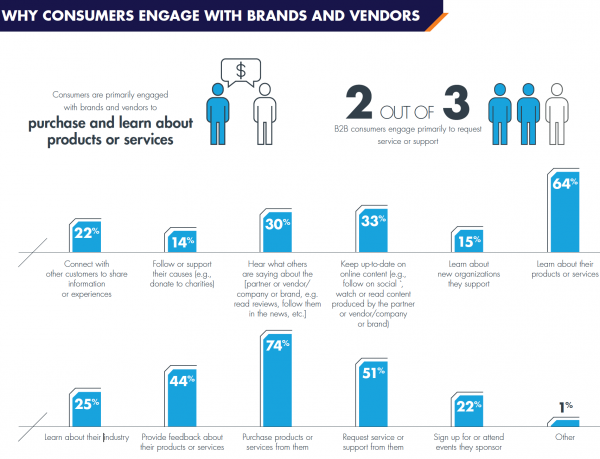 The State of Engagement report surveyed 1,000-plus global marketers and 1,000-plus consumers in an effort to understand how (and whether) consumers want to engage with brands, and what companies need to do to best satiate those needs. Timing on this research was particularly interesting for me, as it launched while I was at the terrific Content Experience 2017 conference which was staged by my friends at Uberflip, in Toronto. The thread throughout the Content Experience event was how to use content marketing to deliver relevant information to consumers, across the customer journey. At multiple points throughout the event, including my keynote, presenters emphasized that companies need to understand their customers better. While marketers think they know enough to be relevant, they understand that something is being lost in translation, as less than half of participating marketers believe their consumer engagement efforts are meeting brand objectives. “Every marketer in the history of the world tells themselves the same lie, and when doing so, makes the same mistake. What’s changed is that there is more competition for attention. So when a customer says they are ‘too busy’ to interact with the company, that’s a euphemism. What they really mean, but rarely say, is that what you have put in front of them is simply not RELEVANT enough. We, as marketers, know this to be true. We know that consumers demand relevancy and specificity like never before. But this research shows that we are massively over-estimating the relevancy that we are actually delivering to consumers. They don’t, as a general rule, WANT to engage with brands unless they are research a purchase, or making a purchase, per this research. Consequently, brands must work even harder to become and stay relevant, and that requires truly KNOWING your customers more than ever. It’s easy to convince yourself that you have a real handle on your customers’ needs, but too often we are inferring that knowledge through data and reports. If you want to know what customers really need, get out there and actually talk to customers. Second best option is to talk to people in your company that do talk to customers routinely, like the sales and customer service departments. This discrepancy between how much marketers think they know customers and how much customers think marketers know them is a real problem. 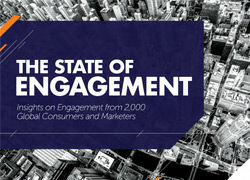 Thanks to Marketo for putting together The State of Engagement report. Lots of great data in this research, beyond the exposure of marketers’ collective, present-day hubris.